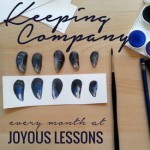 The “regular periods” for Composer Study and Artist Study in our homeschool are Tuesday mornings during our Group Time. I usually alternate the two weekly so that by the end of our twelve week term we have added six new prints to our art albums and have spent the other six time slots listening to music from that term’s composer. Perhaps our portions are not quite abundant enough, but this is a schedule that has worked well for us the past couple of years. This year we have been studying Medieval history and have chosen to simply enjoy the music of that time period. We started out the year listening to Hildegard of Bingen’s music, spent the second term familiarizing ourselves with Gregorian Chant, and the third term enjoying a collection of English, French, and Italian instrumental music from the 12th-14th centuries called A Dance in the Garden of Mirth by The Dufay Collective. Sometimes we listen to it at meal times or during morning time. Some of those pieces are pretty toe-tapping! The main thrust of our Composer Study this year has been exposure and enjoyment. It really is interesting to listen to the different style and very different musical instruments from another time period. If we were learning about a particular composer each term (as we will begin to next year), I would probably set aside time every other week to listen to a piece of their music while drawing or doodling or colouring. I would share a short biography (like Thomas Tapper’s books, freely available here at librivox, or these Vox Music Masters one hour recordings of music with narration). My oldest might choose to include our term’s composer in her Book of Centuries. Moving on to Artist Study…this term we are thoroughly enjoying the works of John Singer Sargent. This artist’s portraits are absolutely gorgeous. Over the course of the term the girls will add six of his prints to their artist albums. I present each of them with their own 4X6 print and give them a few minutes to look it over carefully. Then they turn them over and take turns telling me every detail they can remember. Then they add it to their album, a photo album with space in the margins to record the artist’s name, name of the painting, and date it was completed. I usually tell them where the piece currently resides and we dream for a moment of visiting that museum, that city in that corner of the world. Sometimes I also try to find a picture book relating to our artist of the term to have on hand to familiarize the children with their works. This term I checked out the book Carnation, Lily, Lily, Rose: the Story of a Painting by Hugh Brewster that our library happened to have. 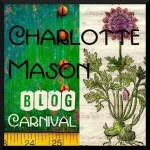 We learn a bit of biographical information about the artist, but I try to keep it to some interesting tid bits…ideas…not a lot of boring facts. 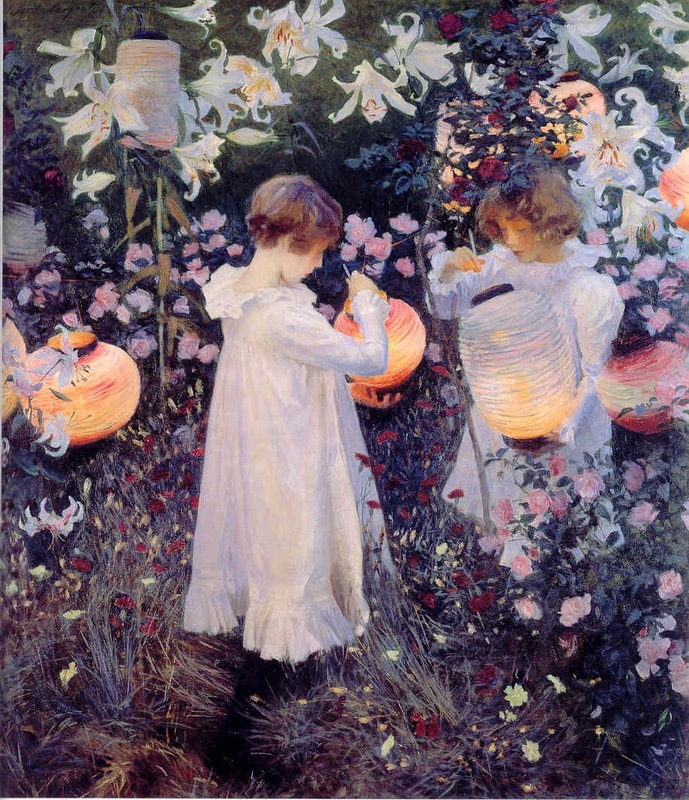 For example, we learned that Sargent’s parents were American so he is technically an American artist although he was born and raised in Florence, Italy, and lived his life in Europe. He was famous for his portrait painting abilities even before he reached the age of thirty. He was a man of many talents and was quite musical as well. 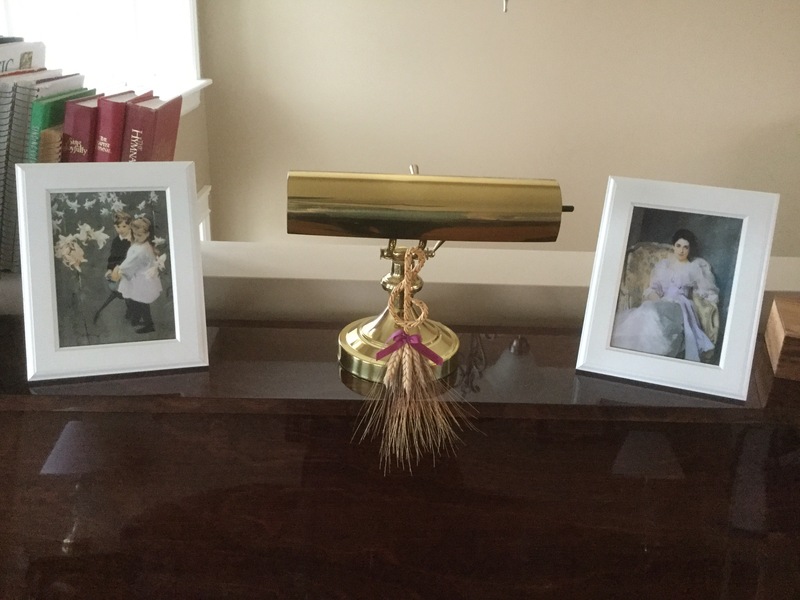 I have two picture frames on top of the piano that I keep a couple of our current artist’s pictures in for the duration of the term. I also switch our computer’s desktop image each term. 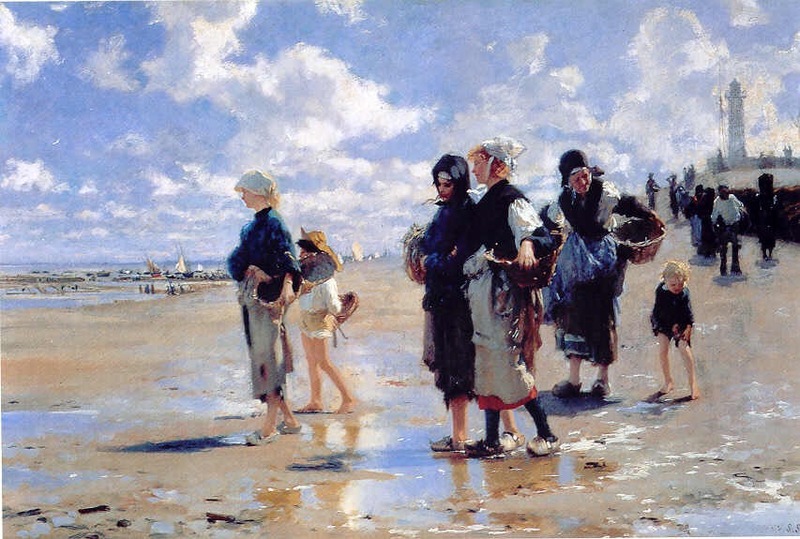 This term we are greeted with Sargent’s Oyster Gatherers every time we boot up the computer. Well, this has been a little peek at how we do Composer and Artist Study. I’m sure there are many more in-depth ways of implementing these subjects, but I have intentionally tried to keep it simple. I don’t want it to become complicated for then I run the risk of letting it slide altogether on those challenging days or weeks. It has been a consistent blessing to share these works of master artists and musicians together as a family. Next time we’ll take a look at how we are introducing Shakespeare…another area I want to keep simple and consistent!